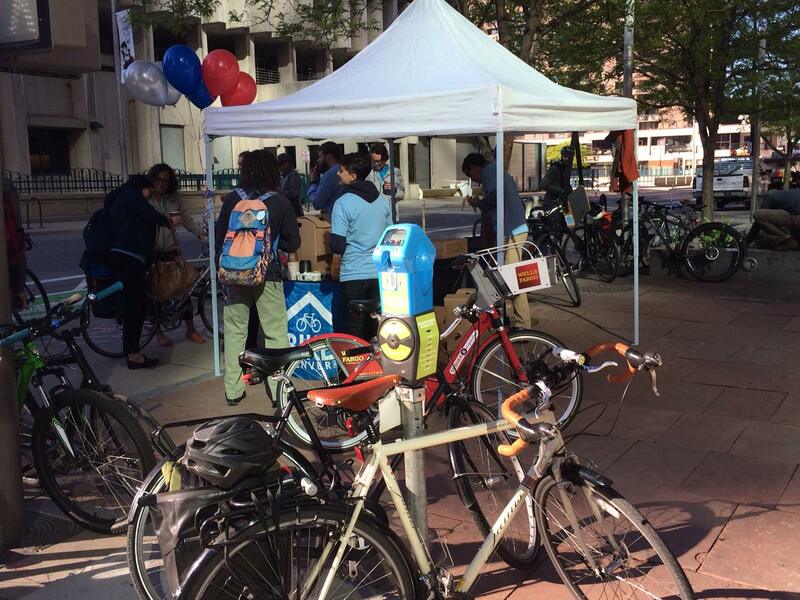 Commuting by bike on Bike to Work Day is cool, but BikeDenver and Downtown Denver Partnership know that doing something once a year isn’t really habit-forming. So they launched Bike to Work Wednesdays this morning, the first of seven between now and June 22. The idea is get people into the swing of commuting by bike and show that it doesn’t have to be a special occasion. “Denver has rapidly become one of the nation’s leading cities for bicycle commuting and we believe there is even greater opportunity to get more people to use the bicycle as a reliable form of transportation,” said BikeDenver community engagement manager Carina Gaz. This is the third year advocates have organized the midweek rides. 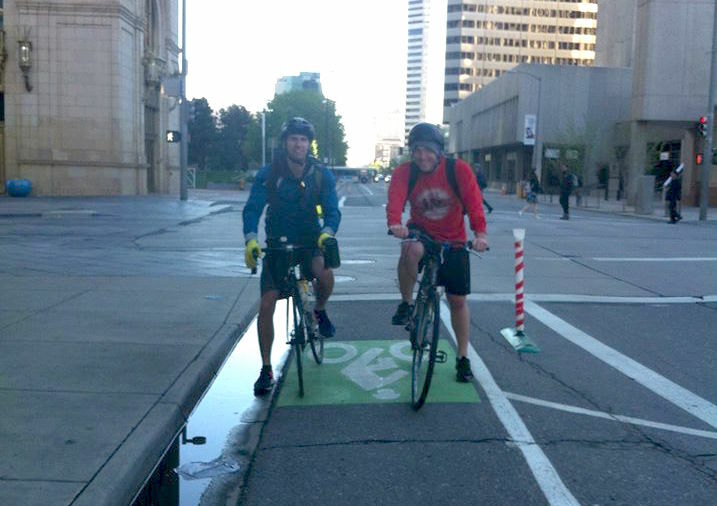 This morning they served breakfast for bike commuters along the Arapahoe Street protected bike lane. Here are some scenes from the spring’s first hump day bike commute. You can register and track your Wednesday bike commute trips to win prizes. 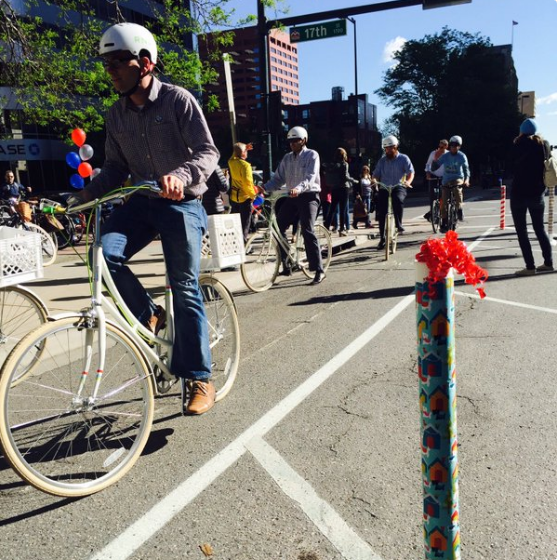 Hat tip to BikeDenver for the photos.